Today was a little easier — Didn’t wipe out a painting! Getting my lighting figured out and resolved to keep doing my palette knife – except for those days when I paint people. Tomorrow I get back to painting with some good artist friends. We paint a model every week from life. One of the best things I do for my art work. Nothing compares to painting from life! Enjoy my Salad! Think I’m gonna go cut these up and have lunch!! 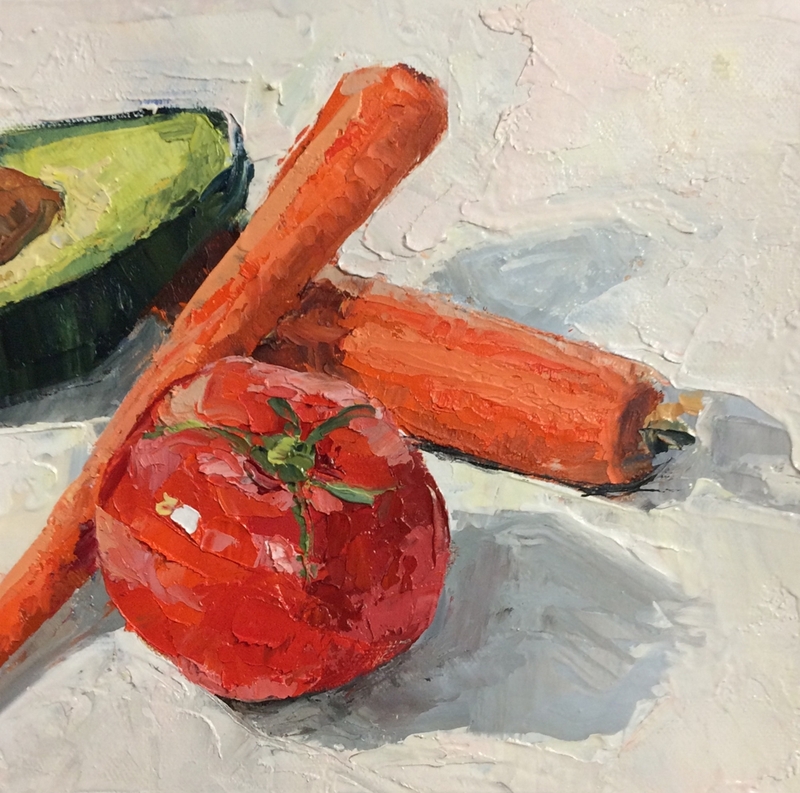 This entry was posted in 30 in 30 Daily Paintings, Strada Easel Challenge and tagged 30 in 30, Carolinas Got Art, Charlotte nc, daily painting, painting from life, palette knife painting, strada easel on January 4, 2017 by Robin Wellner.